Consultant Vascular & Oncointerventional Radiologist at apollo hospitals, jubilee hills. Specialization fellowship in vascular and interventional radiology from P.D. Hinduja National hospital, Mumbai and worked as the Clinical Assistant in IR department. 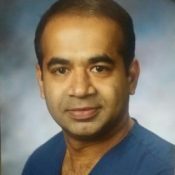 Trained in doing various other vascular and non vascular procedures ranging from image guided biopsies to Abdominal Aortic Aneurysm stenting to TIPS. Expertised in doing day care procedures like Radioembolization, chemoembolization ,vertebroplasty, uterine artery embolisation, varicose veins and sclerotheraphy. 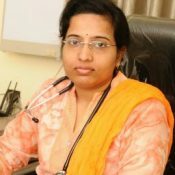 One of the few doctors in south India with expertise in doing the highend procedure in the field of cancer treatment, (TARE ) radiembolization for liver cancer management, did maximum number of cases in Andhra pradesh.